Providence Foundation offers a multitude of ways for benefactors to support Ascension Providence. Your donations to Providence Foundation directly impact the health and wellness of the Waco community through state-of-the-art medical equipment and facilities. 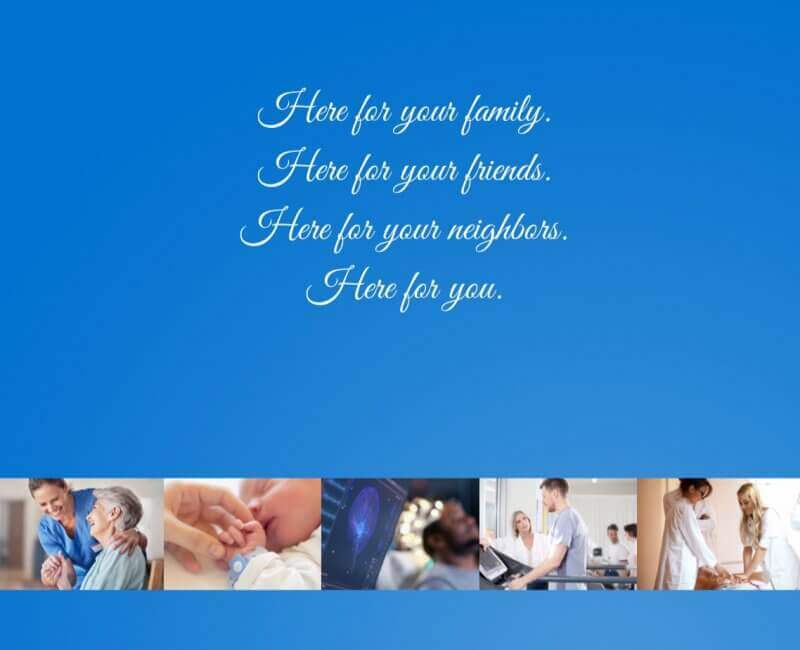 Your generosity allows Ascension Providence to embrace every personwho walks through the doors with quality, compassionate, and state-of-the-art healthcare. Be part of the mission to improve the health and wellness of Central Texas, and help provide the most advanced level of care available to you, your family, friends, and neighbors. The Providence Foundation Associate Giving Campaign is a way for Ascension Providence associates to work together to provide quality, compassionate healthcare through donations. In order to meet the growing need of our patients with new technology, expanded facilities and patient care, we ask our associates to join together by pledging their support. Founder’s Society, President’s Circle, and Chairman’s Circle are three annual giving affinity groups of individuals, business, and foundations who want to help sustain our healthcare ministry. Founder Society members pledge $1,000-$2,499 per year, President Circle members pledge $2,500-$4,999 per year, and Chairman Circle members pledge $5,000+. Each affinity group have different levels of recognition, and each year we host two fun appreciation events to thank our members for their continued support of our mission. A bequest can be a specific dollar amount, a percentage of your estate, or a specific asset(s) given to Providence Foundation in support of Ascension Providence’s various programs and projects after your lifetime. A bequest can also be a gift of the remaining assets of your estate. The Charitable Gift Annuity (CGA) is a simple agreement between you and Providence Foundation that provides you with guaranteed income for life. You donate cash, stock or real estate directly to Providence Foundation in return for Providence’s promise to pay a fixed amount to you during your lifetime. The payout rate is determined based on your age at the time of the gift and when payments are to begin; the older the beneficiary, the higher the rate. The Charitable Remainder Trust (CRT) is a highly flexible vehicle. You donate highly appreciated stock or real estate to a CRT and the asset is sold without the recognition of capital gain taxes, thereby increasing the amount of funds available for future investment and growth. The payout rate is flexible based upon the amount of income you need. The use of CRTs has become an increasingly popular way to make a generous charitable contribution, receive tax savings and generate income for you and your family. Planned giving allows you the opportunity to maximize your personal philanthropic objectives. Depending on the asset given and the gift arrangement selected, you can realize substantial benefits while supporting Ascension Providence patients. The Life Estate is a simple agreement between you and the Providence Foundation. You retain control and the use of your home for your life, and deed the remainder interest in your property to the Ascension Providence Foundation. By transferring the remainder interest in your home to Providence Foundation and retaining the life estate, you can lower your income taxes while retaining control and use of your home. The donated property does not have to be a principal residence, which means the donor’s vacation; farm or other home may be used in making the gift. We invite you to partner with Ascension Providence to continue to make an impact in our community. Ascension Providence Foundation has granted over $20 million to departments within Ascension Providence to continue providing high-quality, state-of-the-art medical equipment to the Central Texas community.